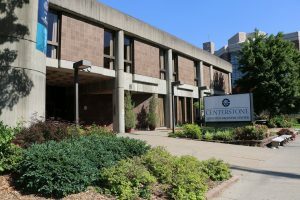 Centerstone Addiction Recovery Center is an 80-bed inpatient detox, rehab, residential and intensive outpatient facility for men and women living with addiction. Our program is designed to support clients through all stages of recovery. With less than 24 hours between assessment and start of treatment, you can begin your journey to recovery immediately. 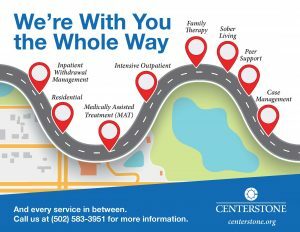 Centerstone believes in recovery-oriented medication assisted treatment (MAT), which combines addiction medicine with counseling and behavioral therapies, case management, peer support and linkage to the full continuum of community-based mental health, children and family services. Research indicates when treating substance use disorders, a combination of medication and behavioral therapies is most effective.